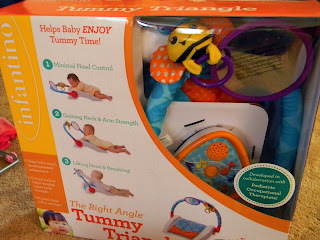 Infantino sent me their new Right Angle Tummy Triangle to try out with Stella. None of my children have ever liked being on their stomach. Are there really children who do? Had this been available a month earlier, I think that Stella would have really liked it. It's not that she didn't like it, it's just that when Stella is on the floor, her main goal is getting from belly to back or the other way around. Lately, she just wants to get on her back so she can chew on her toes. 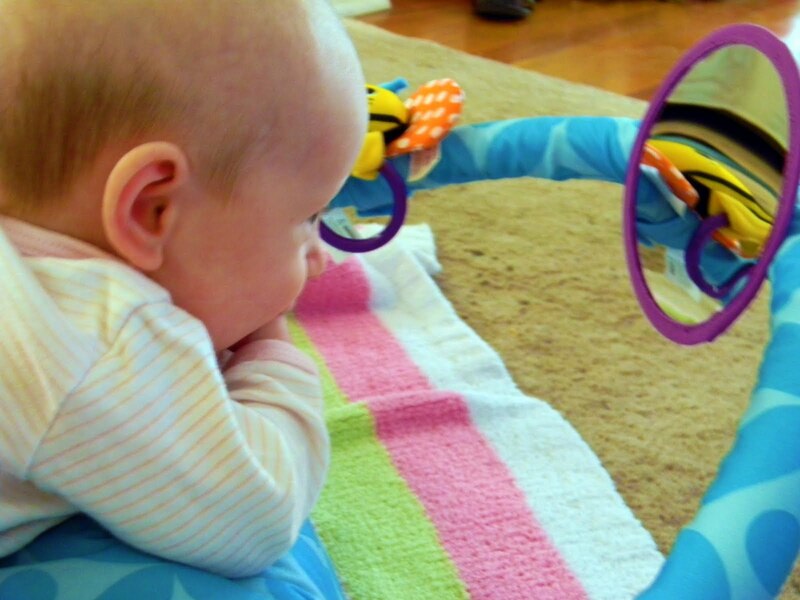 She really enjoys looking at herself in the mirror for a little while. 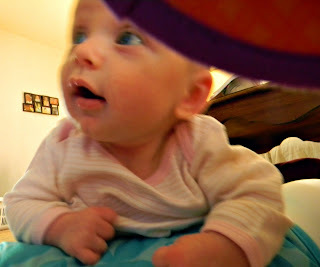 She actually seems to like being on her belly...for a minute. 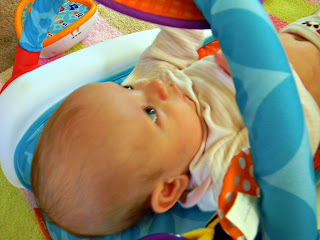 Then, she tries to roll over and rolls right off of it or just lays on her back on it. I'm pretty sure that once the excitement of rolling wears off, she'll really enjoy it. 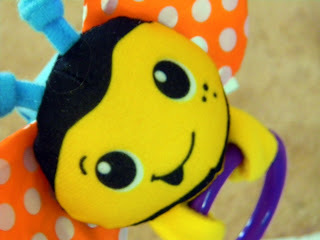 She does love the buzzy bee, though. It goes everywhere with us! The Tummy Triangle is available at Babies "R" Us and is also available for preorder at Amazon. 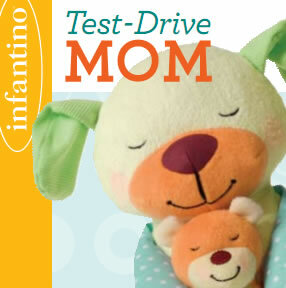 We got this as well :-) My three month old HATES tummy time too. My first-born was happy doing tummy time, he even slept on his tummy. Not this new one though.